MOSCOW — Russian warships will visit U.S. foe Cuba for the first time since the Soviet era, the navy said Monday. The destroyer Admiral Chabanenko and two support ships from a squadron that has been on a lengthy visit to Latin America will put in at Havana on Friday for a five-day stay, navy spokesman Capt. Igor Dygalo said. It will be the first visit by Russian warships to the Communist-led island just 90 miles (145 kilometers) from the United States since the 1991 Soviet collapse, Dygalo said. The Admiral Chabanenko, the nuclear-powered cruiser Peter the Great and support ships arrived in the Caribbean last month in a deployment also unprecedented since Soviet times. The voyage is widely seen as a show of force close to U.S. shores and a response to the U.S. use of warships to deliver humanitarian aid to Russia's neighbor Georgia after their war in August. The ships' visit coincided with a Latin American tour by Russian President Dmitry Medvedev, who raised Russia's profile in the region and met with former Cuban leader Fidel Castro. The United States has maintained an economic embargo against Cuba since 1962, after a failed U.S. attempt to overthrow Castro's fledgling Cuban government. Later that year, the world came close to war when the Soviet Union placed nuclear missiles on Cuba. That crisis ended two weeks later after the Soviets agreed to remove the missiles for a U.S. pledge not to invade the island. From 1969 until the collapse of the Soviet Union, Soviet naval groups regularly called in Cuba, where there was a major intelligence collection station, says military analyst Nathan Hughes of Stratfor online intelligence service. Several thousand Soviet soldiers and their families were stationed in Cuba, which once received $5 billion annually in Soviet largesse. 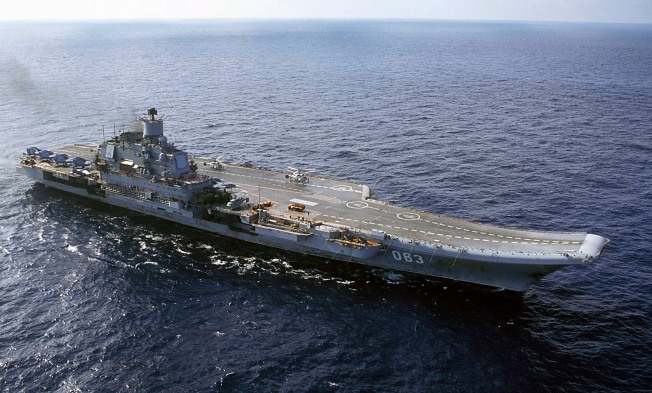 The Russian ships in Latin America now have held joint exercises with the navy of Venezuela, whose President Hugo Chavez is a fierce U.S. critic, and the Admiral Chabanenko became the first Russian warship to sail through the Panama Canal since World War II. The destroyer and two support vessels left Nicaragua on Sunday after delivering $200,000 worth of medicine, computers and other humanitarian aid, Nicaraguan Lt. Col. Juan Morales said. Dygalo said, however, that the ships left Nicaragua on Monday. Their visit stirred heated political debate there.